Pigs are one of man’s most useful and intelligent domesticated animals, but they never seem to get their due. Today is their day! It’s National Pig Day! 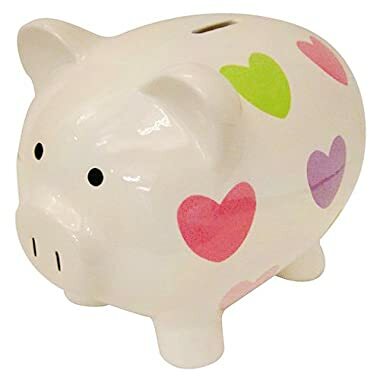 A time to celebrate the little oinkers. They may appear dirty but are really clean creatures. To most people they are just smelly farm animals that make great meals. But Pigs are actually really cute. Just think Charlotte’s Web! I’ve found some images and decor that show just how adorable they can be. 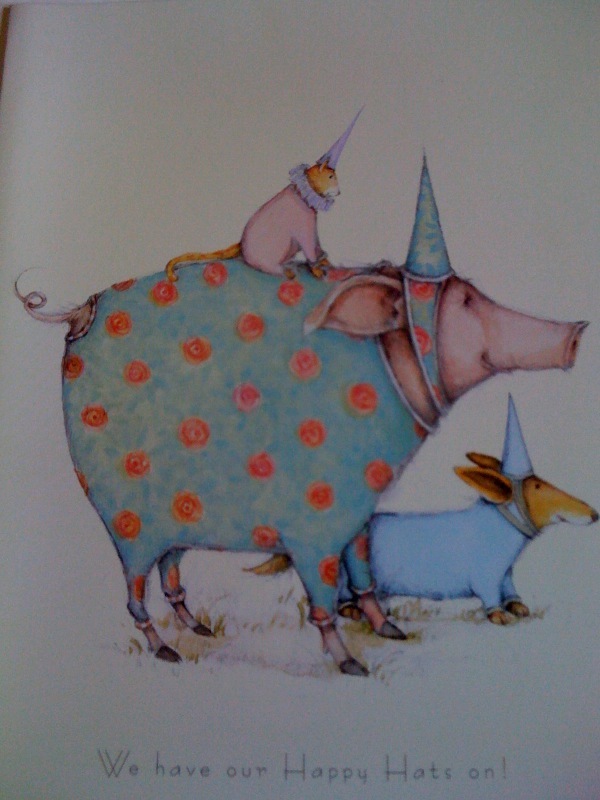 A line of cards and prints from an illustrator/artist who is inspired by all god’s creatures that she grew up loving. 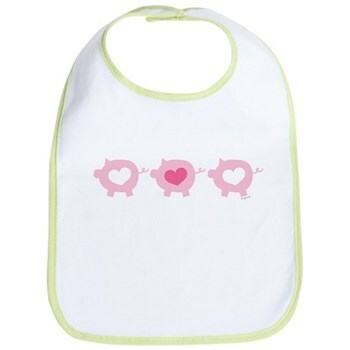 Pigs and Hearts design available on all kinds of apparel and accessories like this baby bib. 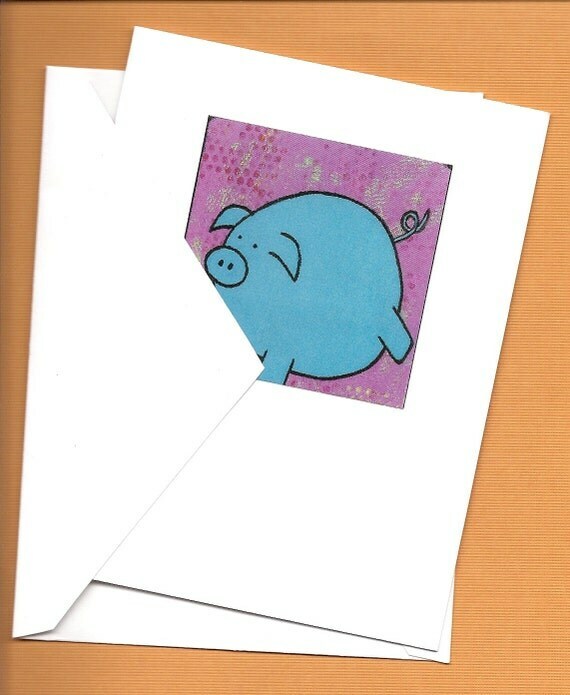 Fun pig art from designer Lil’ Pig Shop listing on cafepress. ThinkLocal esty dealer designs blank cards that are simple and sweet. All these images really make we want to own a little piglet — but I don’t think Jim would like that… and I’m sure Inky the cat wouldn’t either. Guess I’ll have to pet some pigs my text trip to the petting zoo. And I hate to say it but National Pig Day also makes me want to pig out on some BBQ. Being from the South, pork barbeque and all the fixings is like the Cheesesteak is to Philly. Pigs really are perfect little creatures and it’s a shame more people don’t celebrate their cuteness.